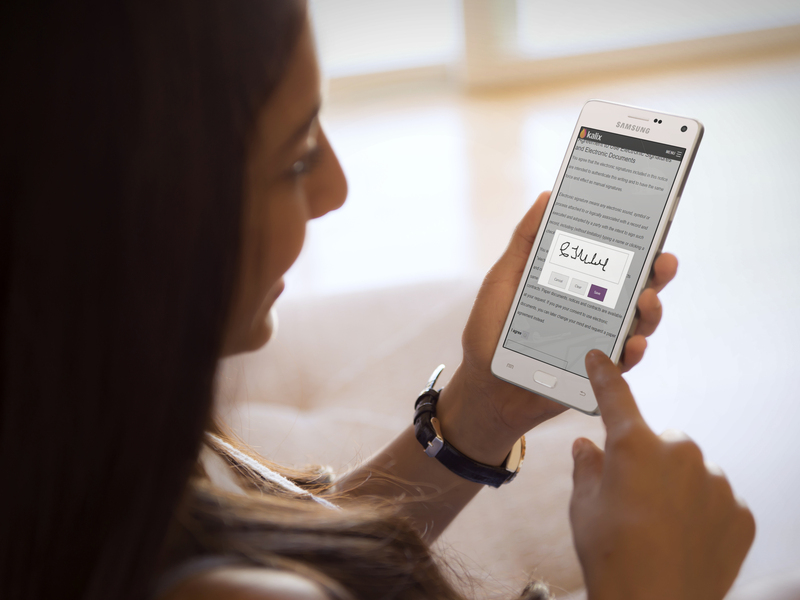 Legal Considerations When Using Online Electronic Signatures – The Official Kalix Blog. Kalix makes it easy for your practice to go completely paperless. Being able to securely share paperwork and collect electronic signatures online is now paramount for the modern healthcare practice. Kalix’s extensive template library includes many electronic agreements and notices including HIPAA forms, practice policies and Advanced Beneficiary Notices of Noncoverage (ABN). Alternatively, set up your own contracts using our blank templates. Through Kalix, share online patient agreements with only a few clicks of the mouse. Unlike collecting and witnessing a written signature during an office visit, sending and collecting patient signatures online, can hold some additional legal considerations. This article will discuss these further. An electronic signature is any electronic means that indicates either that an individual agrees to the contents of an electronic document, or that the person who claims to have written a document is the one who wrote it. (b) executed or adopted with the intent to sign the record. Most US states give electronic signatures the same legal effect as traditional signatures. You agree that the electronic signatures included in this [form/ consent/contract] are intended to authenticate this writing and to have the same force and effect as manual signatures. Electronic signature means any electronic sound, symbol or process attached to or logically associated with a record and executed and adopted by a party with the intent to sign such record, including (without limitation) typing a name or clicking a checkbox. The complication of using electronic signatures is authentication of the person signing. You need to satisfy yourselves of “non-repudiation” – i.e., ensuring that data really is from the designated client, not someone else, so that the client cannot deny signing the document in the future. Please remember, you need to verify the identity of the client signing. This can be by asking multiple questions in the form, such as the patient’s date of birth, mother’s maiden name, social security number, driver’s license number or demographic information. You should then compare the answers in the submitted online form against another source, e.g., referral letter, driver’s license, health insurance card.